Freda was born on 6th September 1923, in Metz in Lorraine, France. When she was eight she moved with her parents, elder brother, David and younger brothers, Armand and Marcel, to Sarreguemines, which was near the French border with Germany. In August 1939, as war was looming, the whole town was evacuated to south-west France. Following the German invasion of 1940, life in France became increasingly difficult for Jews, and Freda’s mother approached a convent to see if they would hide the family. Although the convent agreed to help, the family were arrested before they could go into hiding and were sent to Drancy transit camp on the outskirts of Paris. From Drancy, the whole family were deported to Auschwitz-Birkenau. As soon as they arrived they had to undergo a selection. There were a number of prisoners surrounding the new arrivals, and they told the older women to take babies from the younger women. Freda’s mother took a baby from a young Dutch woman and was sent to one side with Freda’s brother, Marcel. Freda followed her mother but was told to stand in the other line, as her mother would be looking after the children. In fact they were being sent to the gas chamber. Freda was taken with the other women selected for work. She was disinfected and tattooed with the number A.7181. At first Freda worked digging trenches in the camp but 2 months after arriving Freda was selected to be part of a work detail known as the Kanada Kommando. They worked very close to the gas chambers, sorting the belongings of prisoners and those who had been murdered. Whilst she was working here, three of the girls who worked with her were caught smuggling clothes back into the camp and hanged. Freda and the other remaining women from this group were then taken away from the Kanada Kommando and worked digging trenches in front of the crematoria until the Sonderkommando revolt of October 1944. On 30th October 1944, soon after the Sonderkommando revolt, Freda was taken from Auschwitz by cattle trucks to Bergen-Belsen, where she remained until February 1945. From there she was sent with 750 other women to Raguhn, a satellite camp of Buchenwald concentration camp, where she worked in an aeroplane factory. As the Allies advanced, Freda was once again put on a cattle truck and sent to Terezín (Theresienstadt), where she arrived on 20th April 1945 and remained until she was liberated by Soviet troops on 9th May 1945. 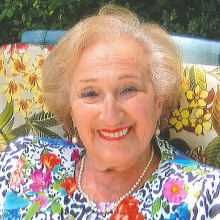 After liberation, Freda discovered that her parents and her brother, Marcel, had been killed at Auschwitz. Freda returned to Lyon on 4th June 1945 where she was hospitalised with typhoid. In August 1945, when she was better, she was finally reunited with her brothers David and Armand. In 1950, Freda married and moved to the UK, having two children. Her husband David later died aged 42. In January 2009 Freda returned to Auschwitz and her visit was featured on Blue Peter as part of their Holocaust Memorial Day commemorations. Freda continues to live in London and continues to share her testimony with students across the UK.